At April Cornell all current season apparel is 50% off, like this cute jasmine ladies dress. 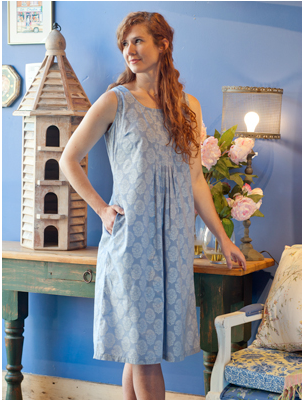 Here is another beautiful and practical frock, the periwinkle Sky Flower Ladies Dress. The inverted pleats on the front of this just below the knee dress make it incredibly flattering and yet modest. Also, the dress has pockets! Hooray! 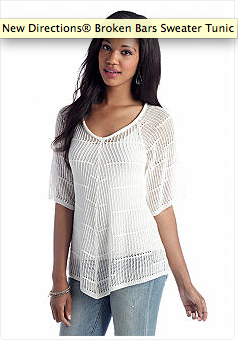 The Sky Flower dress would look great under an airy summer sweater, like this New Directions Broken Bars Sweater Tunic from Belk.com. 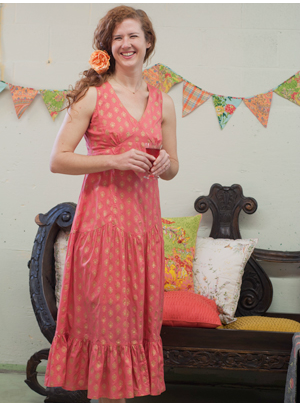 Also, at April Cornell, all past season merchandise (April's Attic) is on sale for 65% off, like the Kyla Ladies Dress. Use the coupon code SLAM 40 to get these great deals and remember the sale ends Thursday July 24, 2014 at midnight.